Pennsylvania located in the Mid Atlantic region is one of the most historically rich states on the map of the United States. The State is known for being the home to the original America’s capital, the place of famous battlefields and historical sites. The Keystone State offers a variety of both cultural and natural attractions you are unlikely to come anywhere else in the country. A huge Amish community resides within its borders providing a uniquely American experience and a glimpse of another way of life. Harrisburg is currently the capital of the State that is known for its significant role in the Civil War and one of the most serious nuclear disasters in the American history that happened at the Three Mile Island Station in 1979. If you are considering which Pennsylvania travel packages to pick, our Pennsylvania travel guide presented below will shine light on some of the must see sites in the State. Many Pennsylvania travel guides make it known that the State has recently legalized its gambling industry attracting even more visitors who would have otherwise chosen Las Vegas. Besides casinos and a large variety of theme parks, historical sites are a huge draw for tourists booking Pennsylvania vacation packages. Additionally, the State of Pennsylvania boasts Lake Erie and Pocono Mountains regions where some of the top outdoor activities are located such as camping, fishing, swimming and even skiing. Pennsylvania cuisine is very well regarded all over the country due to its strong Dutch influence. Tourists love sampling funnel cakes and washing it down with local beer. Pennsylvania is also home to world’s famous sandwich called Philly Cheese steak sandwich that consists of slowly roasted carved meats generously layered with onions and melted cheese. Make certain to try it during your next Pennsylvania vacation. 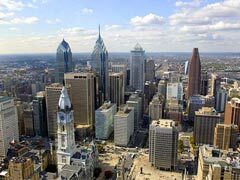 Philadelphia, once the original capital of the US, is boasting a large variety of historical attractions that are included in many Pennsylvania vacation packages. Located less than 100 miles from New York City, it’s an educational destination for many NY students coming for school field trips. The city if often associated with the cradle of American Democracy, the place of many historical events for the country. Independence National Historical Park is the place highly regarded by all Pennsylvania travel guides and no vacation to the State is complete without seeing the Liberty Bell, Constitution Hall and a large array of historical places. Fairmont Park is also at the top of Pennsylvania attractions list featuring lovely hiking trails, picnic places, the Memorial Hall and Japanese Tea Gardens. Philly is also home to 5 great squares showcasing important historical architecture housing restaurants, hotels and museums. Do not miss the first ever Zoo to open in America, Philadelphia Zoo, that opened its doors back in 1874 housing lots of animal species. For fans of dark mystery writers, Edgar Allan Poe National Historical Site is a great place to learn more about your favorite writer. Philly also boasts a huge number of museums like University Museum of Archaeology and Anthropology, PA Academy of Fine Arts and many others. Another curious attraction in the city is definitely Eastern State Penitentiary that has a history of imprisoning Al Capone and other historical figures. 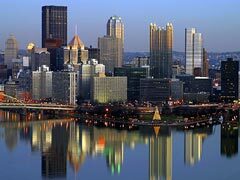 Pittsburgh is the second most popular tourist destination recommended by Pennsylvania travel guides. If you have previously thought that this industrial center offered no sightseeing pleasures, you might change your mind. The city contains a wealth of truly delightful museums like Carnegie Museum of Natural History, Frick Art and Historical Center and Toonseum, a unique establishment to display the heritage of cartoon making industry. The downtown district showcases a variety of historical buildings housing Courthouse and Jail, fairy tale like PPG Place and US Steel Tower building. The City pays a special attention to promoting a greener lifestyle by investing into public parks that are truly spectacular to visit. Schenley Park is loved by locals and visitors as a great place to relax, engage in sports activities and spend time with families. Frick Park is another impressive outdoor oasis offering a variety of beautiful natural settings. Gettysburg is well known to be the city where the most significant battle of the American Civil War took place. The battle of Gettysburg is the focal point of study presented at the American Civil War Museum where visitors will learn all the details, see historical evidence and take steps back to one of the most important times in the American history in 1863. National Military Park Museum is another worthy site to visit to learn even more information about this event. If you love chocolate, you must visit the city of Hershey, the place where it all started. 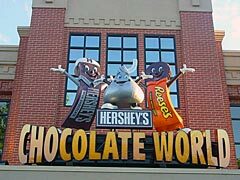 Nearly all attractions in the city are centered around the world’s famous chocolate including Hershey theme park, Hershey’s Chocolate World and many others. Pennsylvania Dutch Country is another huge tourist draw in the Keystone State bringing lots of curious eyes to catch a glimpse at its religious Amish group culture especially around the Lancaster region. Most Amish people make a modest living from farming, wear very plain clothing and deny any advances of modern civilization which might be quite interesting to observe. They prefer horses to cars, candles and open fire to electricity; this without a doubt draws a lot of tourist attention. If you are interested to learn about the Amish community, ask if this tour could be included in Pennsylvania vacation packages.